Spaying and neutering our pets is critical for so many reasons. It is essential to do it while they are young because it eliminates the risk for surgical complications when they are fat and old. This is particularly important for large breed dogs that are prone to weight gain as they age – Golden Retrievers, Labradors, Rottweilers, Shepherds and mixed breed dogs that are over 50 or 60 lbs. Neutering is not quite as challenging as a spay on a dog over 100 pounds. Neutering is fairly simple as it requires a small incision close to the testicles through which the testicles are tied off and removed. 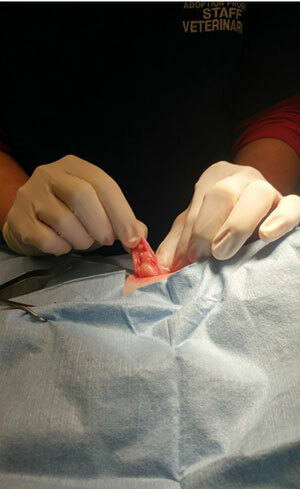 Spaying, however, requires intra-abdominal surgery. Approaching the abdomen of a dog who has a tendency towards fat accumulation, an owner who may love their pet too much, and postponing a spay is a recipe for potential disaster. It is one thing if you are breeding show dogs but, it is another if spaying and neutering is just something you didn′t feel like doing or if you didn′t have the cash. There are lots of low cost spay and neuter programs in and around Philadelphia. 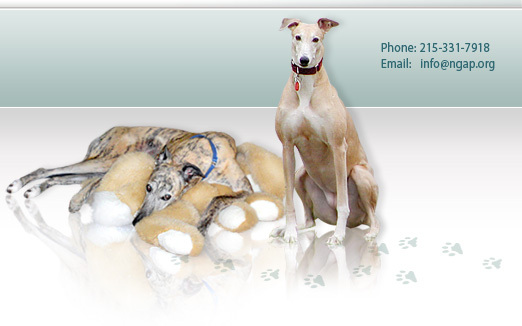 It is beneficial to take advantage of these places to get your pet spayed and neutered as soon as possible. There are way too many dogs in Philadelphia especially if you take a stroll through a shelter or Animal control. Ultimately, no dog needs to breed ever again in our city and should get spayed or neutered as soon as their weight allows for it. Different organizations have different weight requirements. 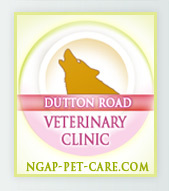 Here at Dutton Road Veterinary Clinic, we will spay and neuter any time after 3 pounds. Because of pet overpopulation, the shelter community encourages these procedures because these people are on the frontlines of needless and sad euthanasias. 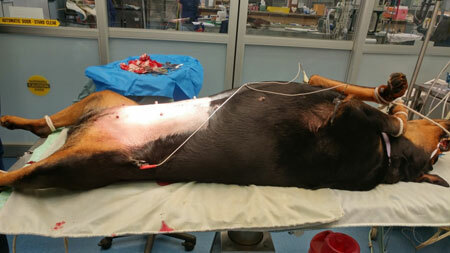 Please see the photographs of a Rottweiler we recently spayed. Imagine you are the surgeon and think about which dog would be easier. Because of the surplus of fat in this large dog′s abdomen and associated with this uterus, it was almost impossible to visualize the blood vessels in order to ligate them. 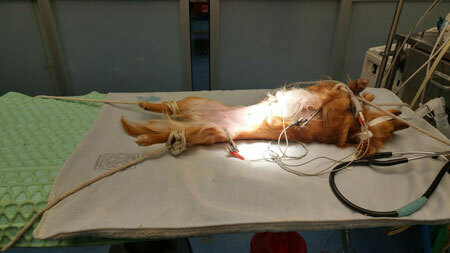 Spaying such a large animal can be dangerous but it is avoidable if the dog were spayed at a much younger age. The scariest part of a spay is tying off blood vessels properly. When a dog has so much fat around their blood vessels, making it difficult to isolate them, the dog is at risk for bleeding. There is also a photograph indicating the amount of fat between the skin and the abdominal wall where we made our incision. 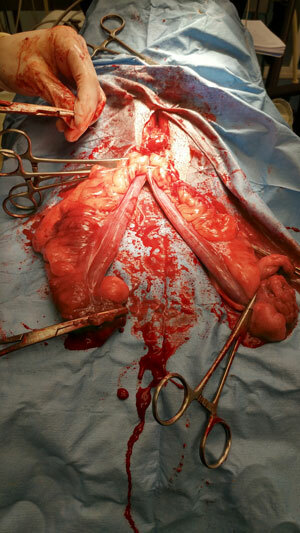 This is also not ideal and can be avoided with an early spay. Take a look at a large dog′s body wall compared to the smaller dog. There is some conflicting information out there about the pros and cons of early spay and neuter. As a surgeon, the risks associated with a large-breed, older dog getting spayed outweighs the risks of an early spay. Besides the recommendation of early spaying and neutering to reduce surgical difficulty, there are other reasons to spay your dog or cat. Females are more prone to mammary cancer when they are not spayed. They are also candidates for a pyometra which occurs when the uterus fills up with infectious material that can contaminate the rest of the body and threaten the lives of our pets. In some instances, the uterus can even rupture. If your female dog gets a pyometra, it is a life–threatening and expensive condition which is all the more reason to spay your dog as soon as possible. Males should be neutered at some point to avoid testicular issues, such as cancer, as well as urinary marking inside the home. Neutering also decreases prostatic issues, such as benign prostatic hyperplasia. 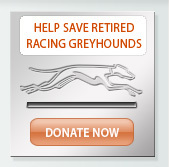 Unfortunately, neutering does not decrease the chances of prostate cancer. Neutering does, however, decrease the chances of a male dog getting hit by a car or stolen as they roam the neighborhood to look for a mate. They just don′t need those testicles! Do your veterinarian, and your wallet, a favor; get your pets spayed and neutered at an early age! Please call Dutton Road Veterinary Clinic with any questions about spaying and neutering your pet!